"We have no more wine from California. 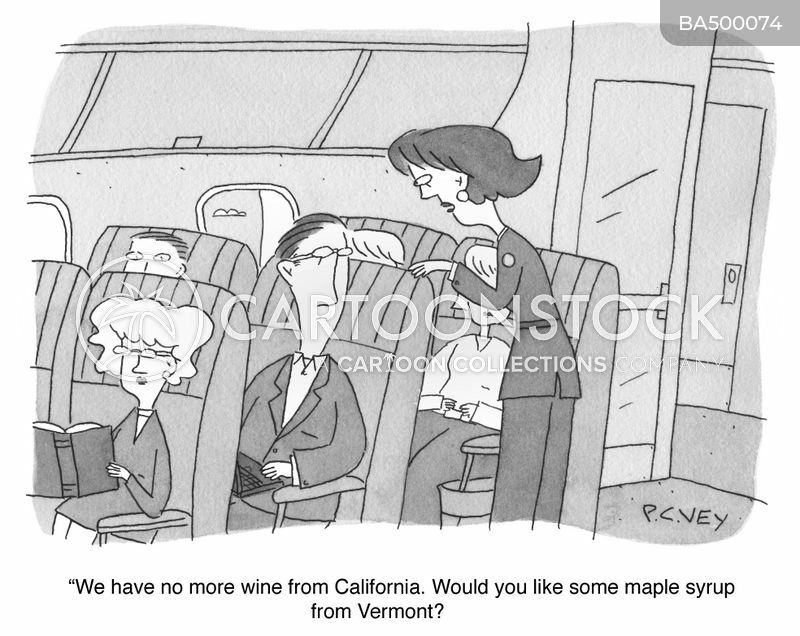 Would you like some maple syrup from Vermont?" 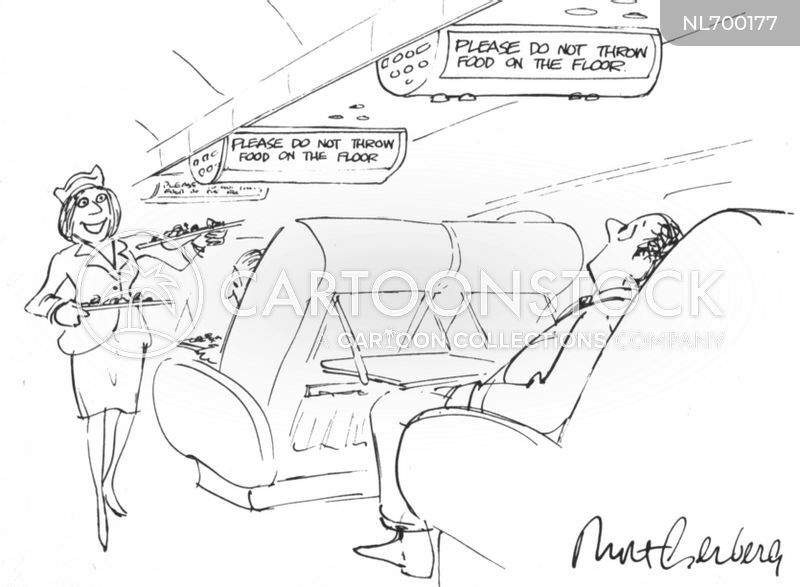 Man looking at a notice on an airplane that reads "Please do not throw food on the floor". 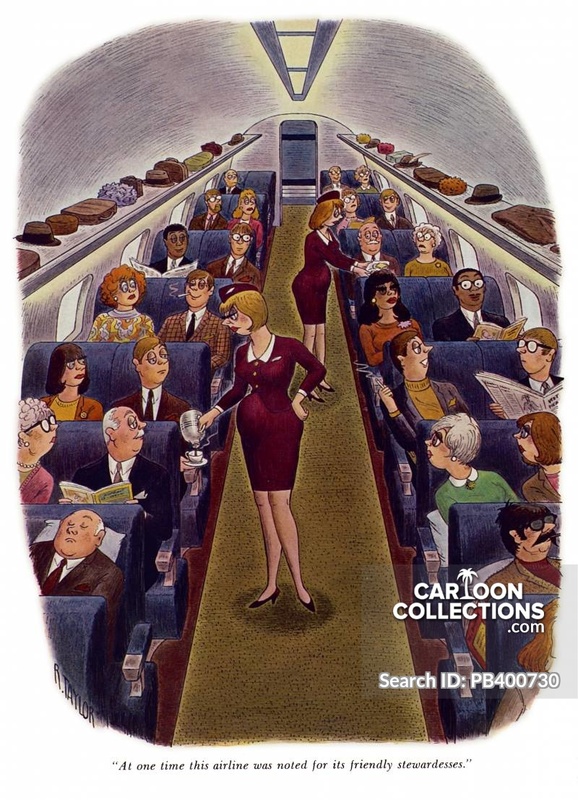 "At one time this airline was noted for its friendly stewardesses." 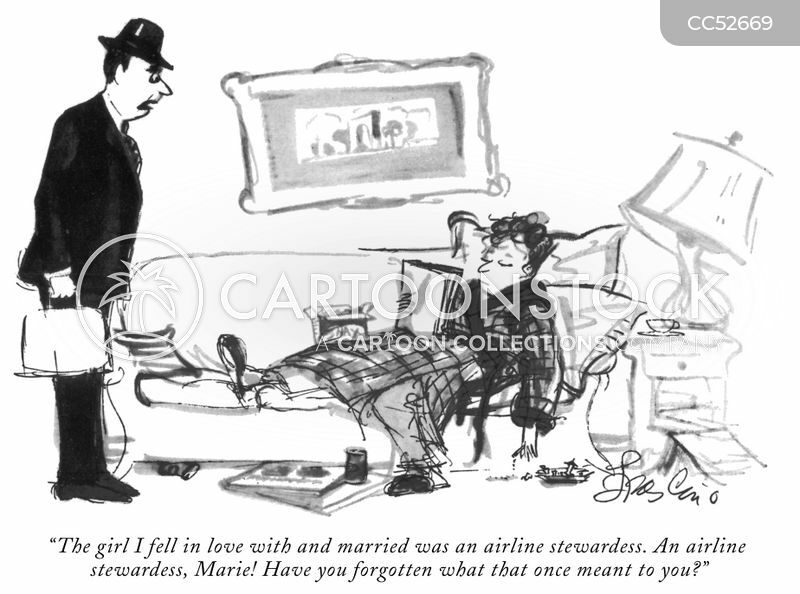 "The girl I fell in love with and married was an airline stewardess. An airline stewardess, Marie! Have you forgotten what that once meant to you?" 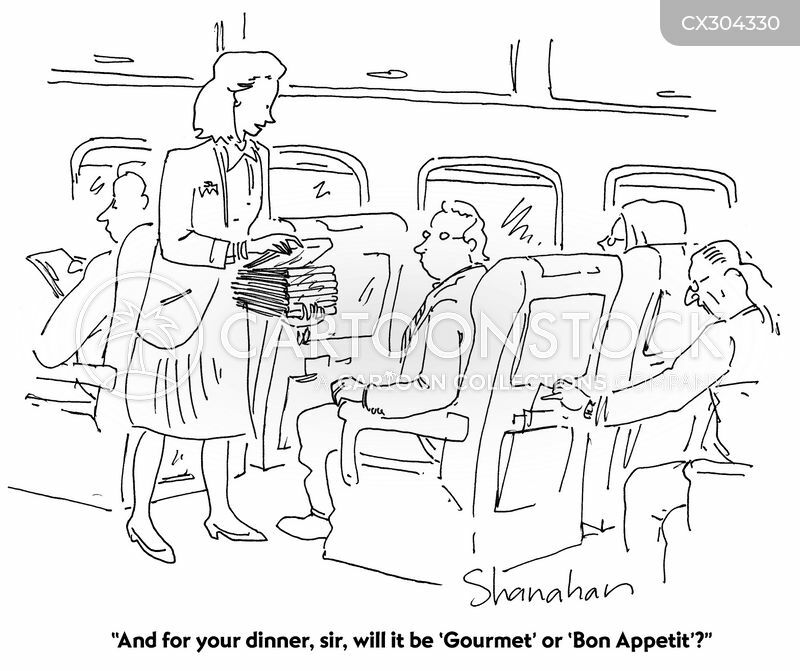 "And for your dinner, sir, will it be 'Gourmet' or 'Bon Appetit'?" 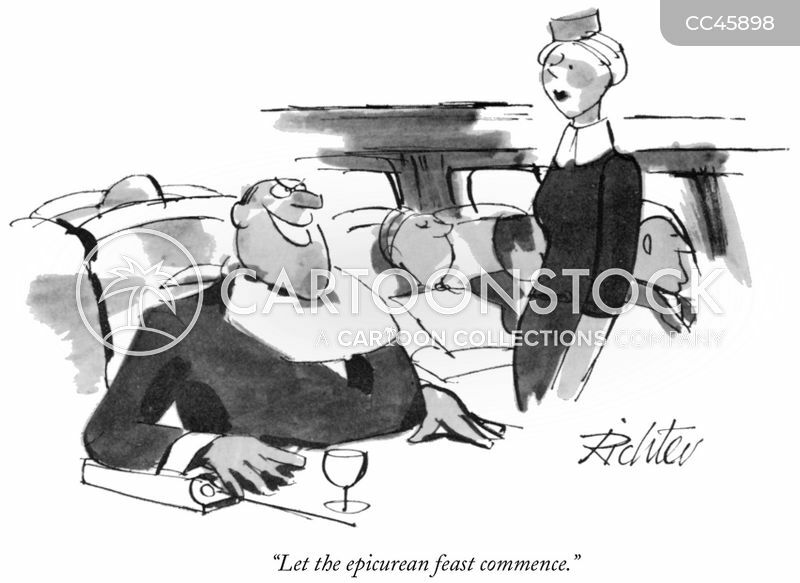 "Let the epicurean feast commence."